At the outset of the Civil War, Wheelock Veazey enlisted as a private in the 3rd Vt. Regiment, and was thereafter elected Captain. Within 4 months of enlisting, he had advanced to the rank of Lieutenant Colonel at the age of 25. In September, 1862, Mr. Veazey was promoted to Colonel, and assumed command of the 16th Infantry. Colonel Veazey was awarded the Medal of Honor at Gettysburg, as commander of one of the three regiments of the 2nd (Stannard’s) Brigade that broke Pickett’s charge. Colonel Veazey opened a law practice in Rutland after the Civil War. He was a long time, prominent resident of Rutland, and became a successful lawyer and law partner of Redfield Proctor. Veazey served as Chief Justice of the Vermont Supreme Court, Trustee of Norwich University and also Dartmouth College, and national Commander-in-Chief of the Grand Army of the Republic (GAR). He died on March 22, 1898. and is buried with his wife Julia Beard Veazey in Arlington National Cemetery. Return to the Walking Tour home page. 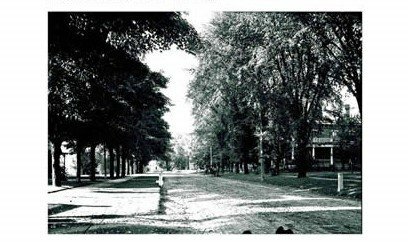 Pleasant Street, late 19th century.